Some people are convinced that cats have a sixth sense. Being at the ‘very rational’ end of the spectrum, I usually scoff at such nonsense. Heightened senses yes - they can hear the food cupboard door opening from four rooms away. 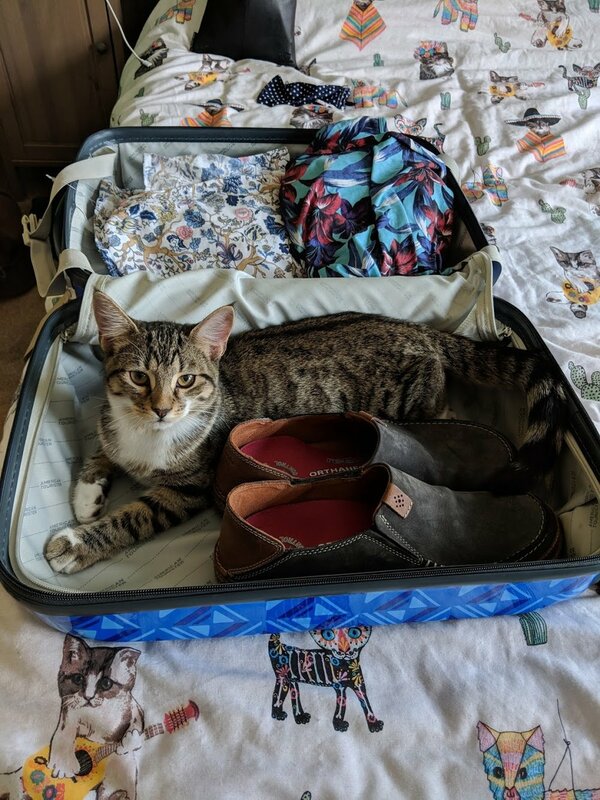 But the only times I can countenance cats having any supernatural ability is when we start packing for a trip away. Even before the cases come out, Daken and Wyatt start being even more attentive that usual. They just will not leave us alone. Perhaps we are just projecting on to them our guilt above leaving them behind for a few days. Or maybe they really can ‘sense’ abandonment. The ridiculous thing is, we always make sure they are well looked after when we’re away. We always make sure they have replacement humans to feed and fuss them. I think we’d be giving ourselves too much credit if we said they ‘missed us’ when we’re away. Cats are notoriously capricious creatures who will sidle up to most people, as long as they have 1. a warm lap 2. food. So why are they so good at making us feel so guilty? The guilt abates eventually. But it has a habit of creeping back when you go to a place where there are lots of cats. Athens is one of those places. On the plane over I had read the first half of a fascinating book written by a British ex-pat who went to live in Athens in the early 2000s. She had alerted me to the fact that Athens is a cat city. There used to be lots of wild dogs also but a lot of those had been rounded up, or controversially, poisoned by the government in a bid to clean up the city ahead of the 2004 Olympics. Many local people were horrified when this was uncovered and they started campaigns and charities to protect and care for the indigenous strays - of both the canine and feline varieties. True enough, when we arrived, we did not see many dogs on the streets. But it wasn’t long before we had our first encounters with cats. Put simply, they are everywhere. Athens is, of course, famous for its ancient monuments. We’ve all seen the photos: the Acropolis topped with the Parthenon; the temples; the theatres (in fact, THE first theatre). What you don’t see in those photos are the cats who have made their homes there. It is not uncommon to be wandering through the ruins of a two thousand year old edifice and witnessing a huge cat fight. In fact, it’s hardly a surprise to find that the more of a tourist attraction something is, the more likely you are to witness a cat battle royale. Fighting for territory, like so many of the historical invaders of the city itself. In addition to territory, they’re scrapping it out for the tourist leftovers. Some are even eager to have a fuss. For feral cats, they are surprisingly tame. In the five days we spent in Athens, I never got over how comically insouciant they were. Whilst we were marvelling at some gorgeous relic they were… being cats. Of course they didn’t care that they were walking, sleeping, fighting (and sometimes urinating) on something from 500BC. Athenians themselves also seem to find the cats’ heedlessness of history amusing. 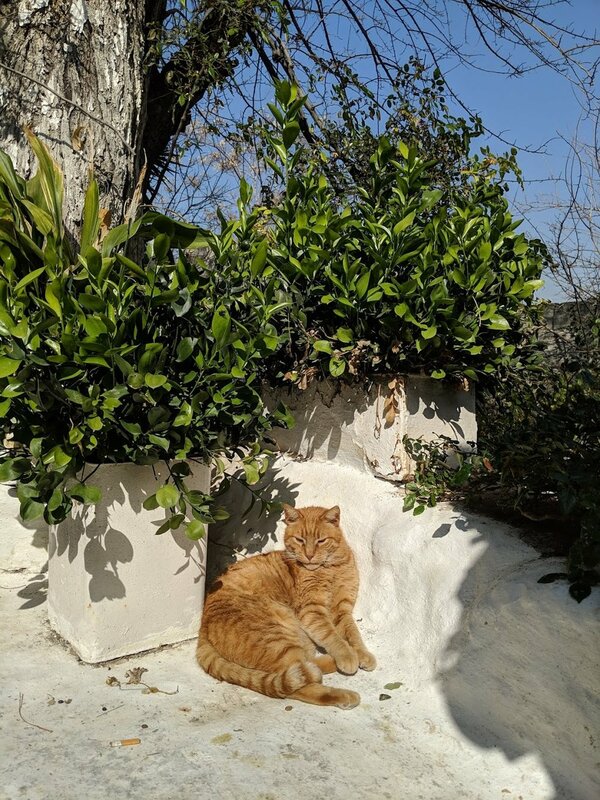 During an afternoon walk around Plaka, the neighbourhood in the shadow of the Acropolis itself, we overheard a guide point out that “He’s the boss around here”. She was grinning and pointing at a very self-satisfied ginger tomcat. Basking in the sun, his whole demeanour exuded confidence. Although that did preclude him rolling over for a belly rub as soon as we approached him. 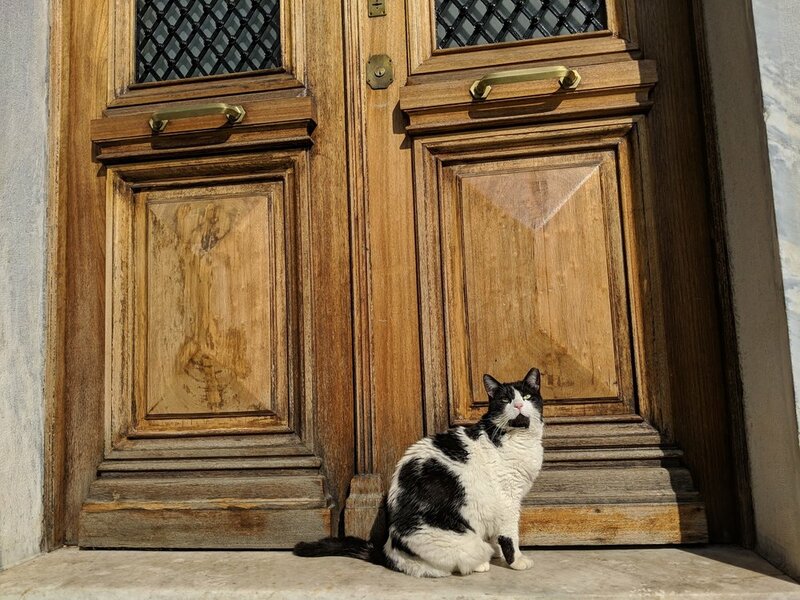 The cats of Athens are clean and well cared for. Many probably have their favourite humans. The ones they can rely on off-season, when Athens isn’t crammed with tourists. I’d go so far to say that, if you are a cat person like us, they are a reason for visiting. Just don’t feel too guilty about your own furry babies back home. They’re probably enjoying having someone else feed them for a change. It’s their little holiday too. Shanghai Disneyland - authentically Disney, distinctly Chinese?